The holiday season is quickly approaching & I want to send a quick reminder to place your orders for your personalized ornaments. The sooner the better because colors start to sell out near the end of the season. 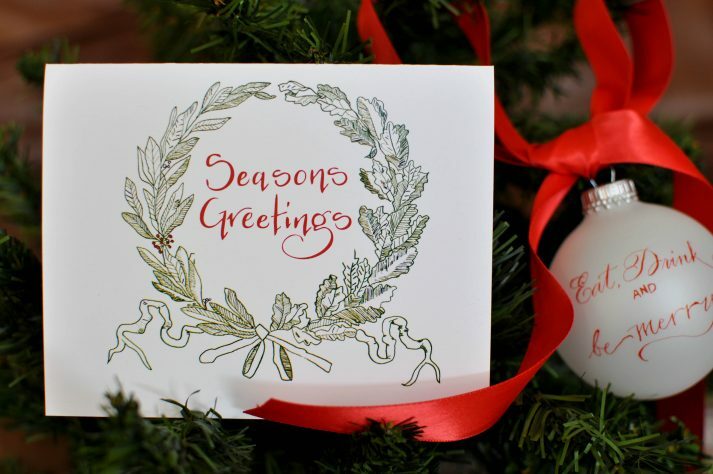 Perfect for large holiday parties as a little gift or intimate family gatherings! 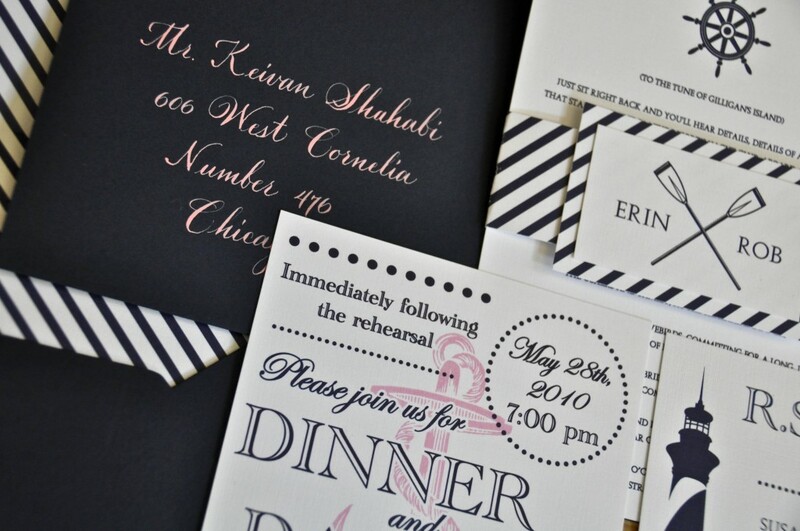 I adore this next set of invitations. Designed by Laura of By Invitation Only, they were the perfect nautical theme for the “Gilligan’s Island” Rehearsal Dinner Cruise. The envelopes were navy & I was able to use a lovely pink ink in my new Dylan font to really make an impression on the lucky guests! I love my corporate clients and some of the fun events I get to work with them on. 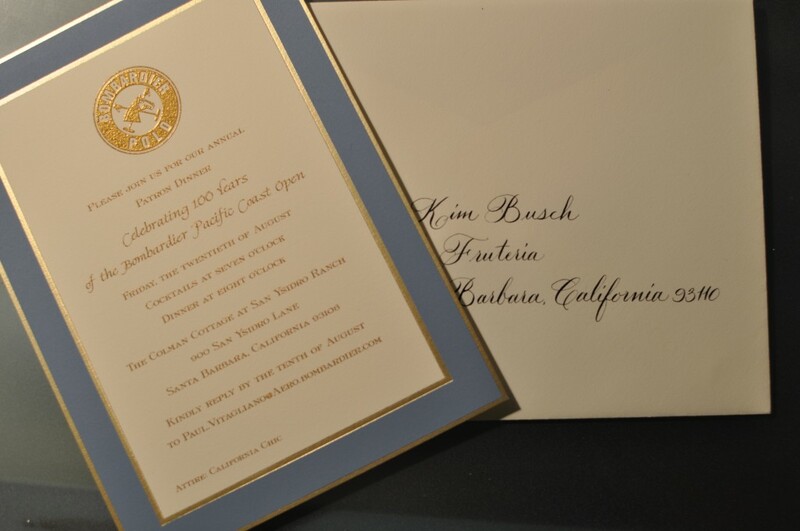 This one was pretty cool – celebrating 100 years of the Bombardier Pacific Coast Open. That is a long time for an event to be held! 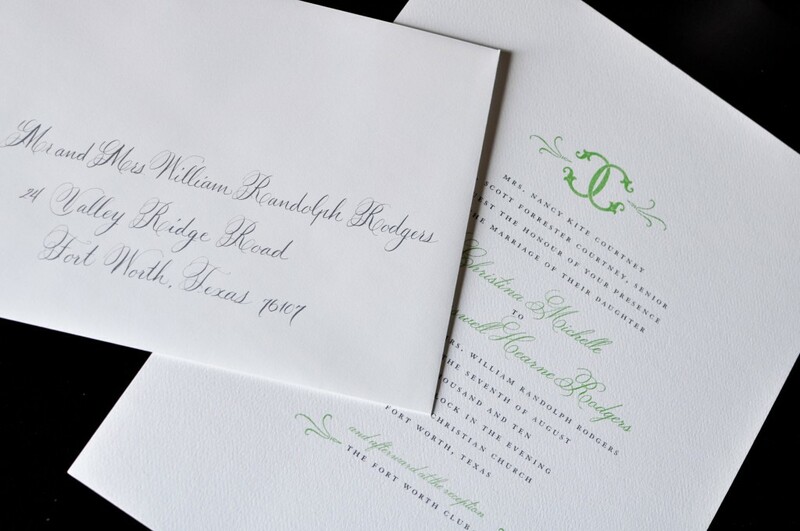 These lovely invitations used gold thermography and printed by Papyrus in Willow Bend. Sounded like a fun time – wish I could have gone to Cali and escaped the August Texas heat! A little background on the Bombardier Pacific Coast Open – this event supports Heart of a Horse to care for the animals in neglected situations. Here a link to the promo video. Wow – this gorgeous bride has wonderful taste in all things paper and some lovely invitations to send off. Custom designed by Alyssa with Paradise Design Co. – they were elegant and unique. I matched the grey ink and custom font used on their names. Everything turned out quite beautiful. The ceremony was held at University Christian Church and reception at The Fort Worth Club, planning by Kathy Ellis with The Current Event. Congratulations on your marriage Christina and Cass! 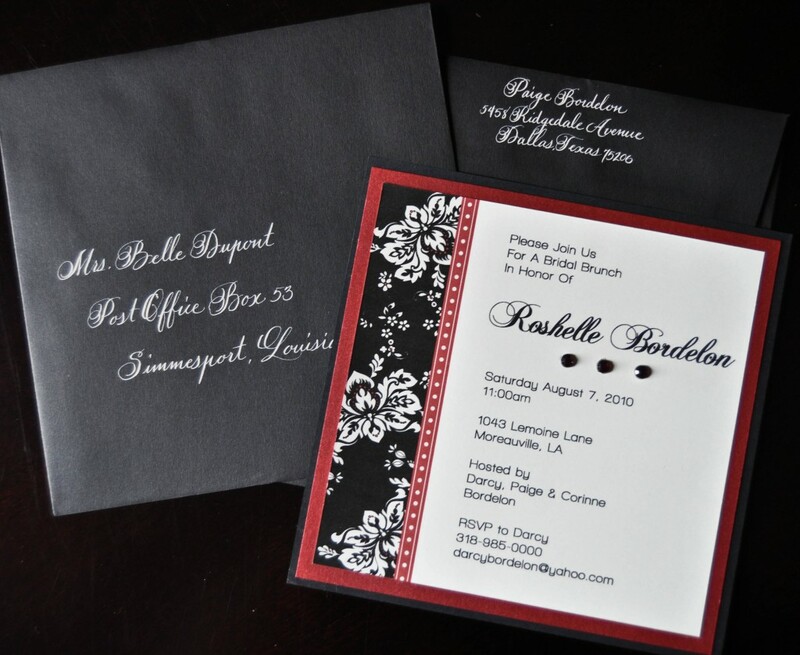 I love this client – we do baby showers and lovely bridal shower invitations together regularly. In August she was a hostess & I did the addressing! This ink is actually ivory – difficult to tell in the photos – but it looked so velvety soft to touch on the fabulous black envelopes.